The eruption column o Moont Pinatubo on Juin 12, 1991, three days afore the climactic eruption. Moont Pinatubo (Kapampangan: Bunduk a Pinatubu / Bunduk nang Apung Maliari; Ilocano: Bantay Pinatubo; Tagalog: Bundok Pinatubo / Bulkang Pinatubo) is an active stratovolcano in the Cabusilan Moontains on the island o Luzon, near the tripynt o the Philippine provinces o Zambales, Tarlac an Pampanga. Its eruptive history wis unkent tae maist afore the volcanic activities o 1991. Pinatubo wis hivily erodit, inconspicuous, an obscured frae view. It wis covered wi dense forest which supportit a population o several thoosand indigenous Aetas. ↑ 1.0 1.1 Pinatubo, Global Volcanism Program. ↑ "Pinatubo Volcano". The Philippine Institute of Volcanology and Seismology (PHIVOLCS). 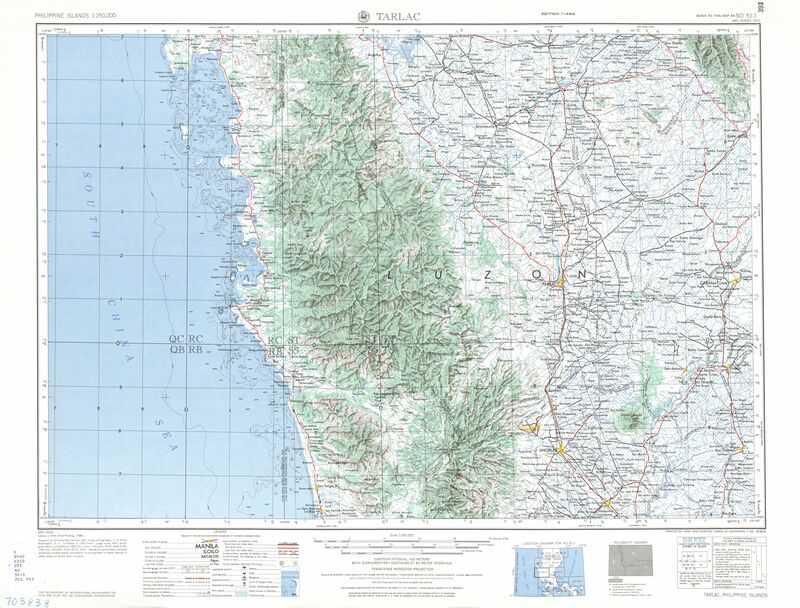 ↑ "Tarlac map". University of Texas in Austin Library. Retrieved 2011-08-02. This page wis last eeditit on 5 Mairch 2018, at 07:29.